The healthy Avocado shrimp appetizer is quick and easy to prepare. Although proportions are given in the recipe, they can be freely changed to your liking. 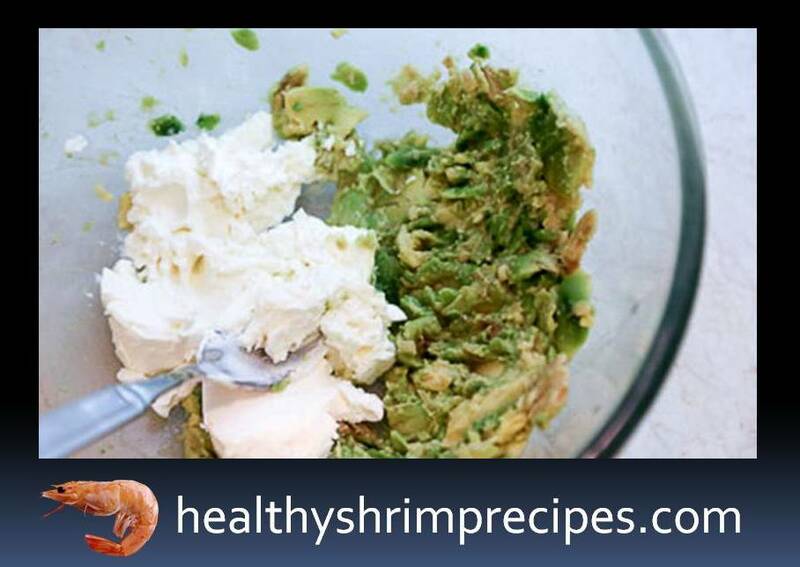 Ripe Healthy avocado is rather oily and creamy, so you can safely exclude from the recipe curd cheese. But I would advise him to leave. In my opinion, with him, the snack is more delicious. Lemon (juice) - 2 tbsp. 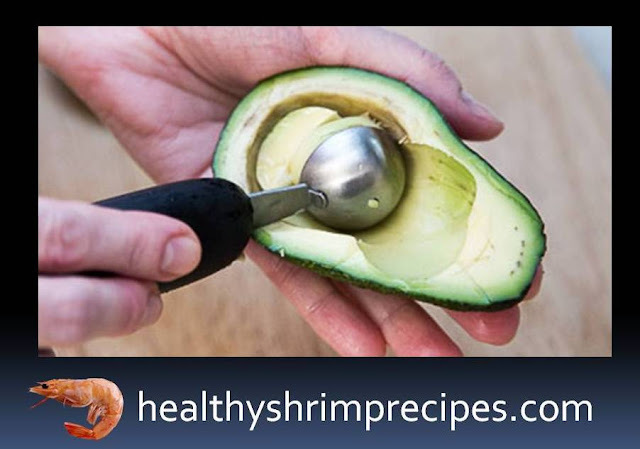 Step 1 - Cut the ripe Healthy avocado in half lengthwise, remove the bone and clean the whole pulp with a spoon. Mash it in a bowl, pour with lemon juice, salt, and pepper. 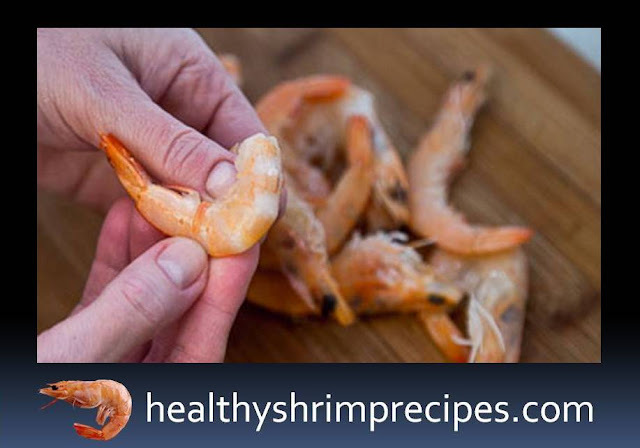 Step 2 - Boiled shrimp peel. Step 3 - Add to the avocado curd cheese and stir. Step 4 - Heat about 2-3 tablespoons in a pan. vegetable oil, add chopped garlic, cut into petals and fry slightly. As soon as the garlic begins to darken, catch it from the oil and discard. 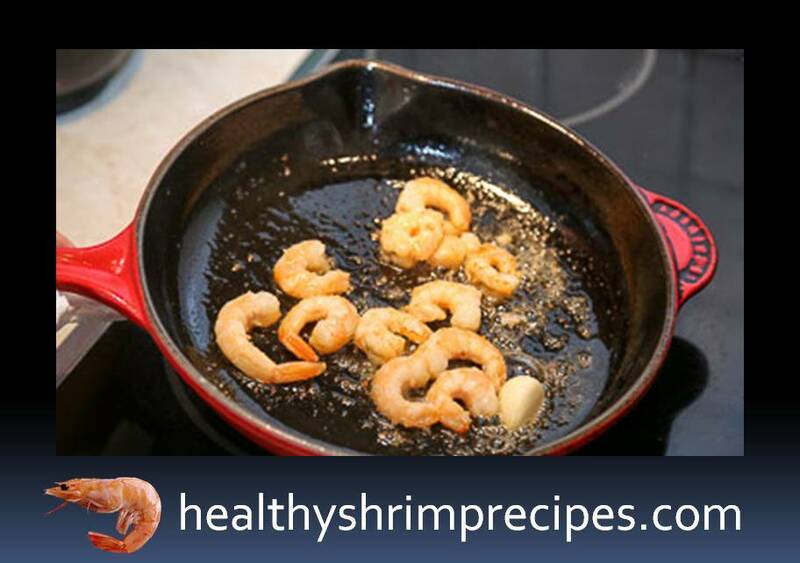 Put the peeled shrimps into garlic butter and fry them slightly. This is done so that the shrimp soaked with fragrant garlic oil. 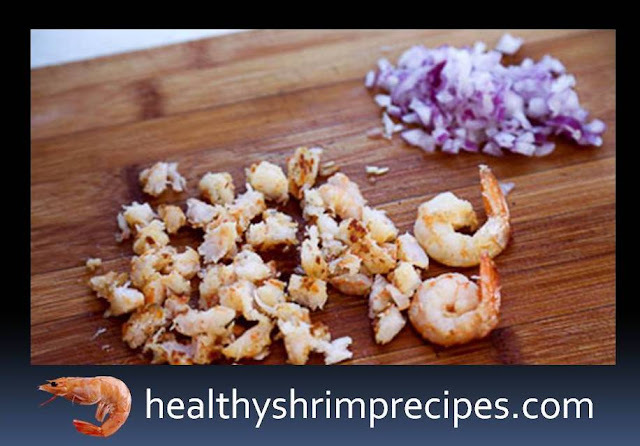 Put the finished shrimp on a paper towel to absorb excess oil. Step 5 - As soon as the shrimps have cooled down, chop them finely. Chop red sweet onions as small as possible. 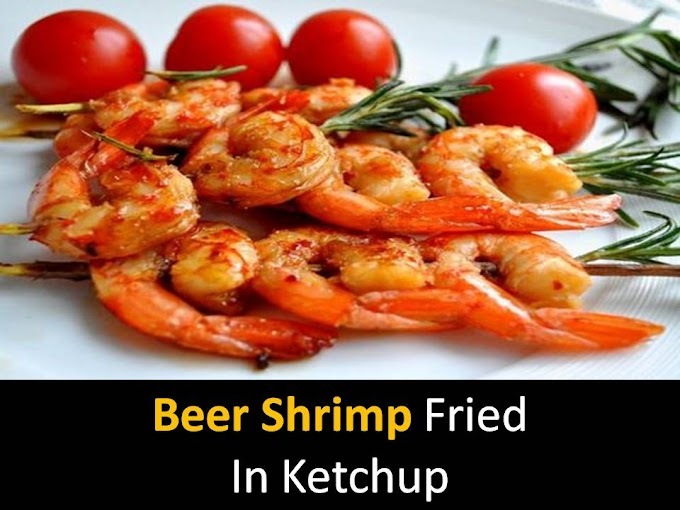 Leave some shrimps whole to decorate the snack. Add minced prawns and onions to avocado with curd cheese. Stir, season with salt and pepper, if necessary. 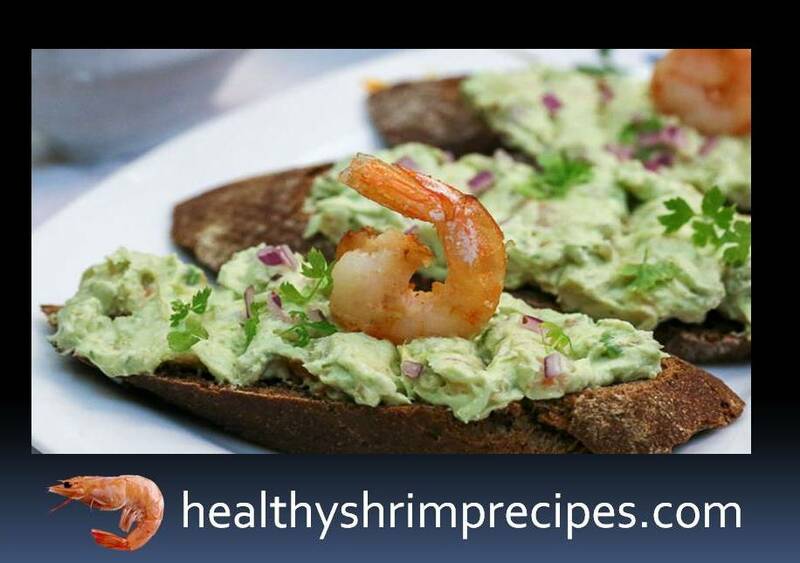 Spread the resulting cheese mass on slices of toasted bread, garnish with whole shrimps and fresh greens. Snack from avocado with prawns ready. Enjoy your meal!